Exploring new recipes that wont break the bank! I have a few recomandation 🙂 I do not put a butter on top, just few drops of ove oil + olive oil under. I bake it 4 and half hour in low teperature. with all stuff from your recipe. It is delicious. Now I cool it down in the fridge – and I ll prepare some carpaccio.. I prefere to make it lighter. Butter is not necessary. Good recipe, but 2 hours is not enough. 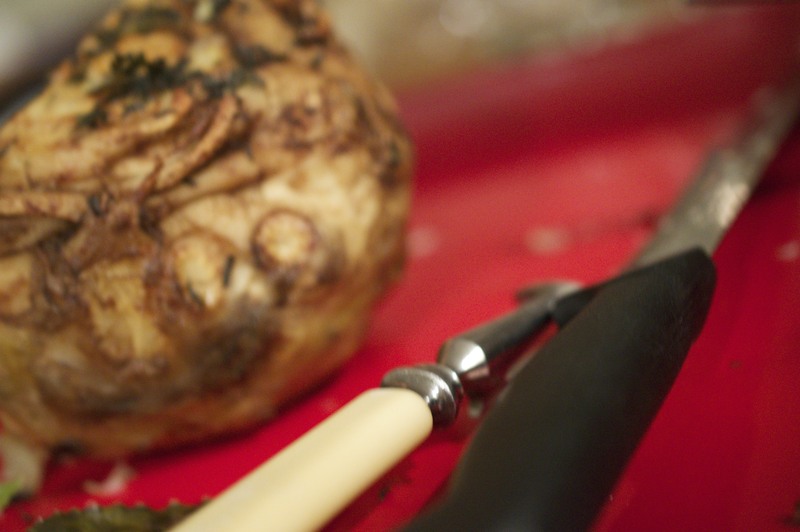 My mom loves celeriac and wanted to bake this dish for her as I remembered JO’s did something like this but haven’t found the recipe anywhere else so huge thanks for sharing! 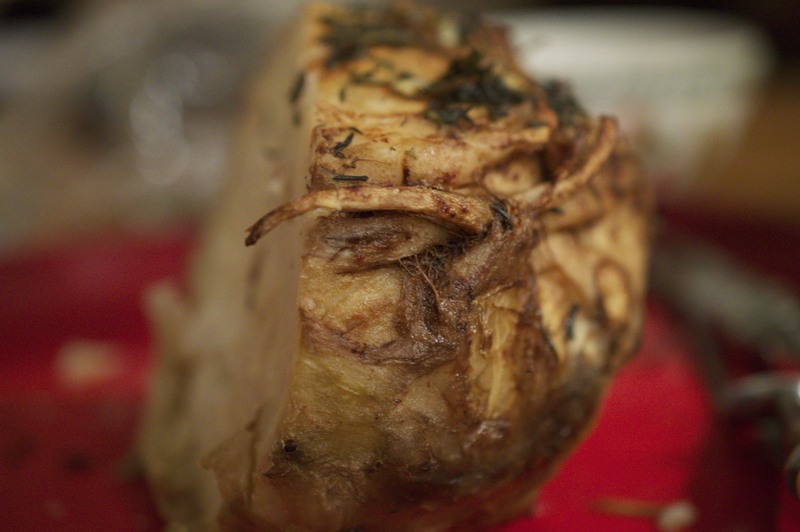 By the way, do I see right that you didn’t peel the celeriac?